The Writer’s Bistro is a casual chic restaurant inspired by North Carolina’s rich literary history. Our recently spruced up Asheville hotel offers that rare combination of beautifully appointed guest rooms and stunning natural surroundings. The Blue Ridge Mountains are the perfect backdrop as you explore North Carolina’s best kept secret. Asheville is home to some of the most jaw-dropping natural scenery on the East Coast, and our resident Navigator Alexandra can help you find it. She’s also on hand if you want to enjoy this laid-back town’s exciting dining and shopping district or take in a beer at one Beer City’s famous microbreweries. If you’re here on business or hosting a party, we have large, flexible event spaces that can be adapted for any occasion. 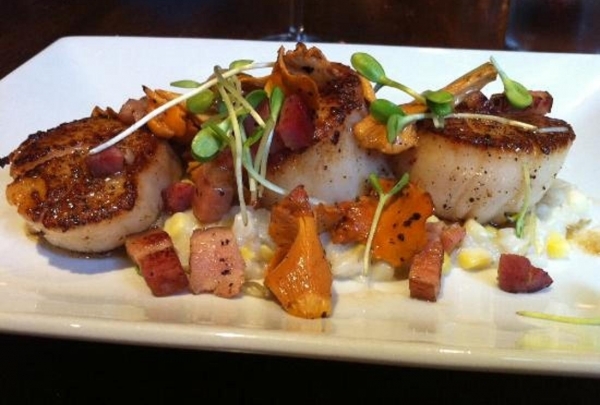 Set out by foot on Eating Asheville's tour of Downtown's culinary scene. The trek also gives a glimpse of the city's food heritage. Build an appetite for Asheville with Eating Asheville Walking Food Tours that take you on a two and a half hour gastronomical journey through Downtown. Operators Joshua Bailey and Stephen Steidle, culinary connoisseurs themselves, have fostered relationships with a plethora of restaurants and bars in the historic neighborhood. The establishments illustrate the farm-to-fork philosophy, ensuring your meal is high on the freshness radar. Sample an array of cuisines, from Indian to Tuscan, that sum up Ashville on a plate. Don't fret if you're not much of a foodie, the informative guided tour will get you acquainted with the town's rich history and local culture. 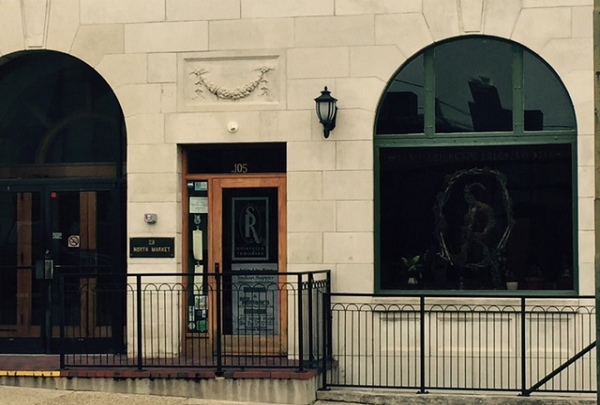 Serving brunch, lunch, dinner, and fabulous local drinks, stop by and enjoy the vintage feel of Sovereign Remedies. Soveregin Remedies is located in a place where the medical buildings used to be here in Asheville. They serve premier drinks and bar food. 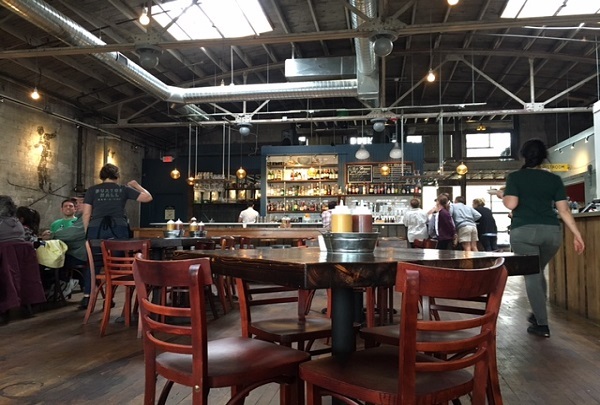 Stepping inside this restaurant, which boasts high windows and a small patio, you will know that you have found an Asheville Gem. Try a wide variety of chips along when you stop in for lunch at this cheery spot. 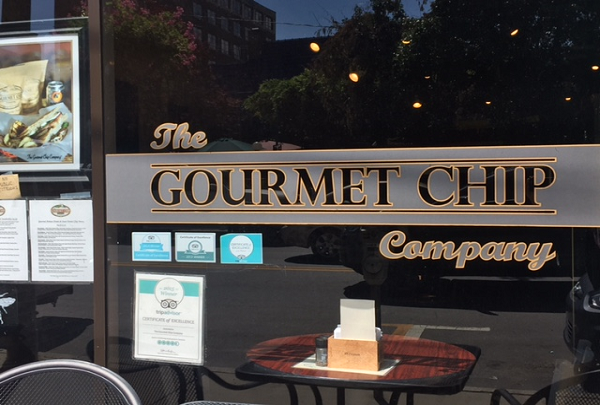 The Gourmet Chip Company is unique to Asheville. Come try a variety of chips made from in house spices and sauces. Come check out this little vintage clothing store for men and women -- all clothing is hand picked. 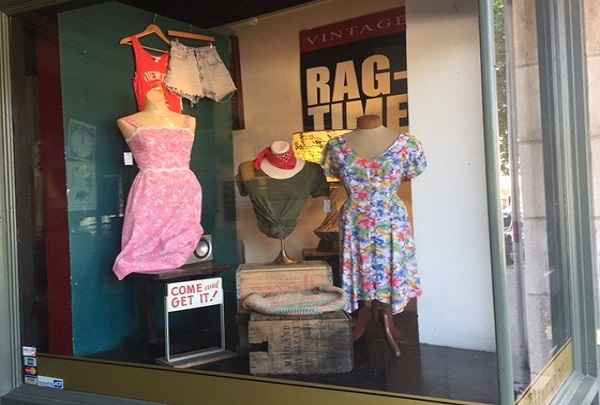 Ragtime Vintage Clothing hand picks all of their inventory to make sure that everything is wearable and in season. They also have a wide variety of accessories. Come enjoy a nice glass of wine while listening to a local jazz band. 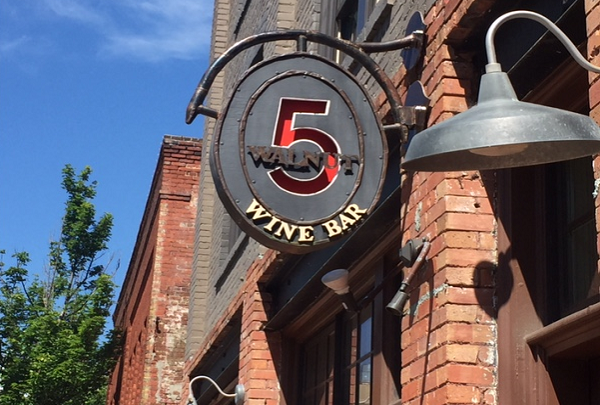 5 Walnut focuses gives off a homey feel from the minute you walk in. Everything is sourced locally, right down to the furniture. Enjoy a nice cheese plate paired with a fine glass of wine before you head home. Try their much-talked-about Bombaloni, and an array of coffee, spirits and sandwiches, at this lively downtown cafe by Hector Diaz. Located on Pack Square, in the heart of the city, Bomba is a great place for coffee and quick bites. Another feather on Hector Diaz's hat, this cafe features hot and iced beverages, beer and spirits. 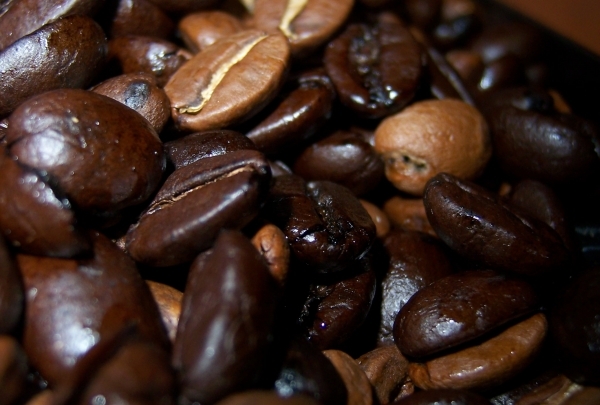 Enjoy an espresso, cappuccino or iced dirty chai with great recommendations by the friendly baristas. Daily specials include sandwiches, grilled hot dogs and small plates that can be savored while people-watching on their patio. 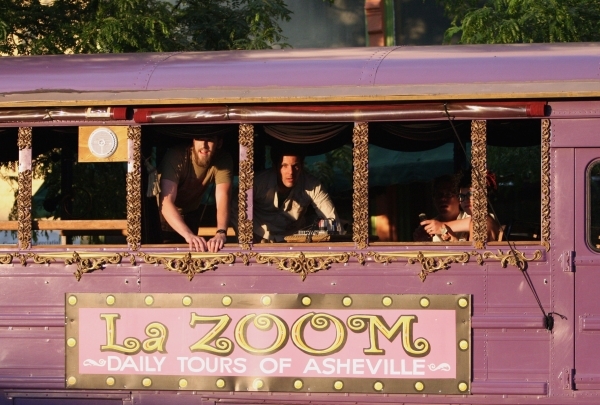 La Zoom's comedy tour truly is the best way to see Asheville. 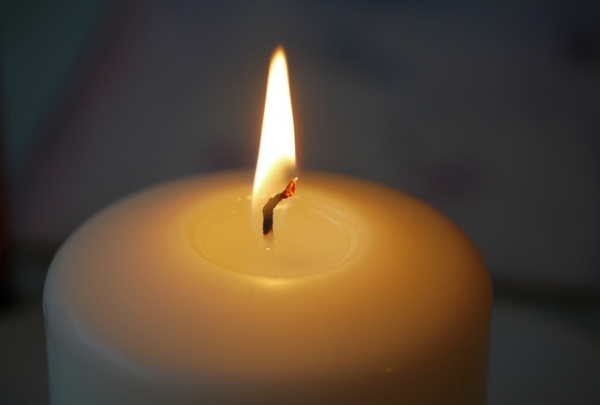 Learn the local lore, and get an added thrill on the ghost tour. Hop into La Zoom's bus and explore some fun and interesting places around the city. The bus leaves from the French Broad Food Co-op and the Thirsty Monk pub and follows an almost circular route. The ghost bus tour will take patrons past haunted houses that provide a scary, thrilling experience. This tour is good for a hearty laugh as patrons will be thoroughly entertained by the animated guides. Open for lunch and dinner, Twisted Laurel is just a quick walk from the hotel. Plentiful seating inside and out! With seating upstairs, downstairs, and on the patio, Twisted Laurel is a great place to gather a group or enjoy yourself at the bar. With a Mediterranean-inspired menu going until 2 a.m., you are sure not to go hungry in downtown. Take a scenic drive for 30 minutes or a few hours. There are many places to hike and pull off to take pictures. The incredibly scenic Blue Ridge Parkway is 469 miles of unsurpassed beauty. It offers opportunities for hiking and biking, shopping and dining along the way. Enjoy a quiet, peaceful adventure through our most alluring scenery. Please watch for wildlife crossing the roads, as well as hikers, and bicyclists. Chef Hugo Ramirez provides a modern perspective to his mother's traditional Mexican recipes. Signature margaritas are a worthy mention. Mexico City native, chef Hugo Ramirez is at the helm of Limones' kitchen. Its cuisine reflects traditional Mexican flavors, but with a contemporary take on the same. 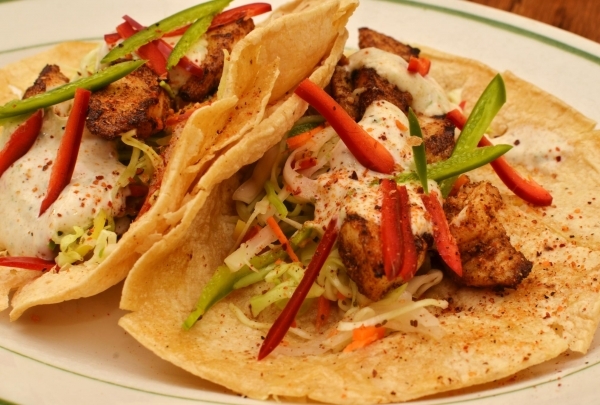 Black Angus Beef Tenderloin with Lobster Macaroni and Cheese, Tequila-lime beef fajitas with chipotle salsa, and BBQ Fish Tacos are on their eclectic menu. Complement your meal with signature margaritas such as the Carrot-Habanero and Peach-Chipotle for a refreshing twist on a classic drink. The rustic-yet-refined decor of chandeliers and wrought iron elements forms the backdrop of home-style dining. Gifts, gifts and more gifts! If you are looking for a unique present for someone special, Duncan & York is for you. Duncan & York is more than your average gift store. It wants to be a one-stop-shop, offering sundries, food and drink along with their amazing selection of gifts. Plus, they try and make sure that everything they carry is truly unique, with a focus on American made items. That way you as the customer feel more connected to the things you buy. This cafe advocates healthy dining with a farm-to-table menu and sustainable practices. Kickstart your day with their signature breakfasts. The culinary ethos at Green Sage is in keeping with its carbon footprint. 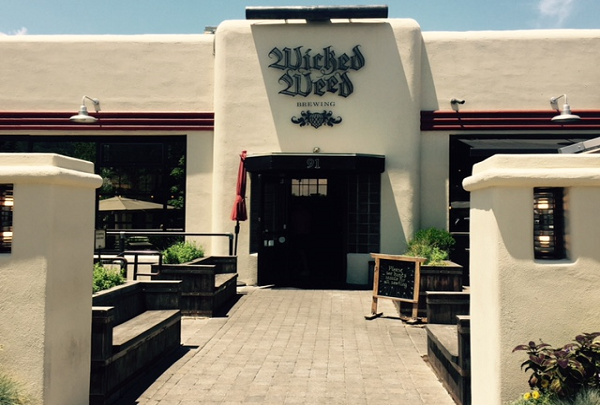 This cafe features a vegan and vegetarian menu without compromising on variety and flavor. Prepared from locavore and organic ingredients, they guarantee freshness and quality. Wash down burgers, sandwiches and wraps with delicious juices, smoothies and hot beverages. 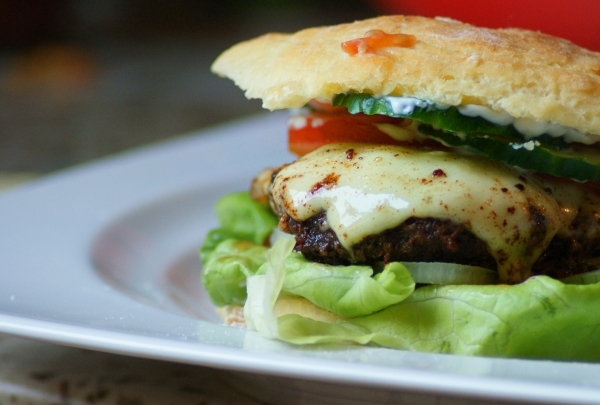 For meat lovers, they offer a limited menu prepared with ethically-raised meats. Tour the Moog factory and store for a chance to compose your own tune on the historic synthesizer and a glimpse into Dr. Moog's rich legacy. 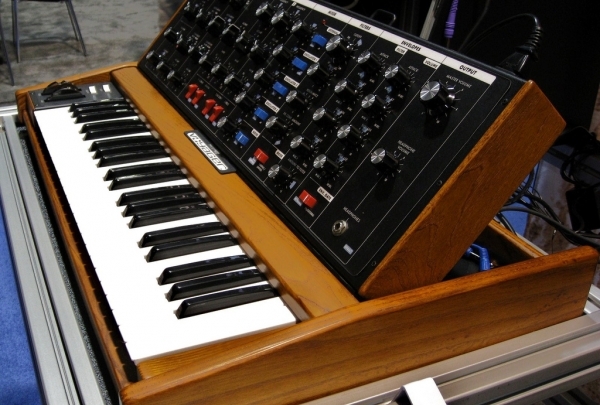 Dr. Robert Moog's breakthrough invention in the 1960s, the Moog synthesizer, changed the face of the music industry. To this day the electronic device, albeit an upgraded version, is painstakingly manufactured by hand at the Moog factory. Book a tour at this historic landmark in downtown Asheville, managed by Moog Music Inc, for an enriching and melodious experience. Before you actually see the system, the exterior facade is painted to look like it. Inside the establishment, witness the designing and assembling process of the instrument. In addition, don't miss the opportunity to produce your own sounds on the synthesizer at the only store of its kind. This store is the beer capital of Asheville, carrying more than 10,000 types of beer from around the globe. Bruisin' Ales carries an astoundingly large assortment of bottled beers. They carry over 1000 different kinds, so you could spend an entire day browsing. Choose from craft brews made around the world and even mix and match to create a six-pack of your favorites. Pick up the perfect glassware to enjoy your newly purchased brews from, or show your love for your favorite beer by buying a t-shirt here. There are gun and sword duels, but what about piano duels? Those are the most fun! Have a drink and watch your favorite songs performed. Off the Wagon is a high energy dueling piano bar. If you don't know what a dueling piano bar is, picture this: two skilled pianists face off by trading off playing songs the audience requests. That's right, you can ask them to play any of your favorite songs, and they'll do it live. You're even encouraged to sing along. Great drinks being served all night are sure to increase your confidence in your singing abilities. 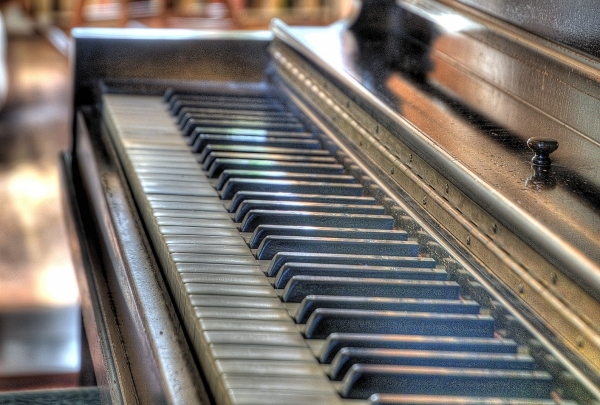 The pianos are playing Wednesday through Saturday, so come in and enjoy. Creative tacos are served from the counter in a chill, no-frills space with a patio. 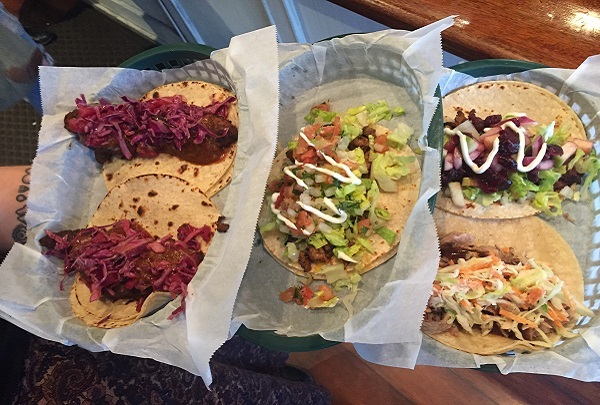 White Duck Taco offers a wide variety of different kinds of tacos. Great atmosphere! Featuring pasture-raised hogs from local farms. Buxton Hall BBQ serves good Southern BBQ. It's also great because of it's location, which is near Catawba Brewery and Vortex Donuts! Asheville Community Theatre puts on the best live performances in Asheville and is 5 minutes from the hotel. 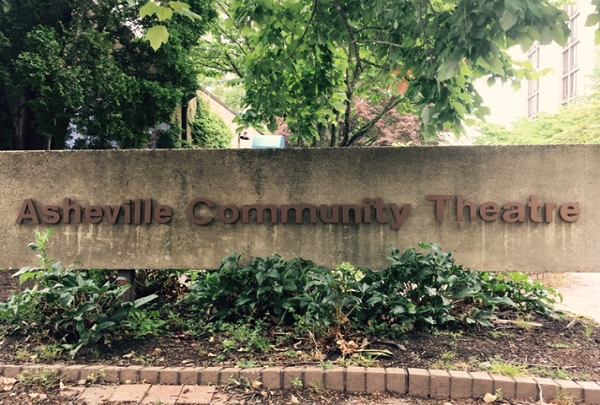 Asheville Community Theatre is one of the oldest community theatres in the country. They are always putting on great shows and are very active within the community. You are certain to have a wonderful evening at this theater, regardless of the show you see. This is a local favorite that makes you feel like you've traveled back in time to an old speak easy. 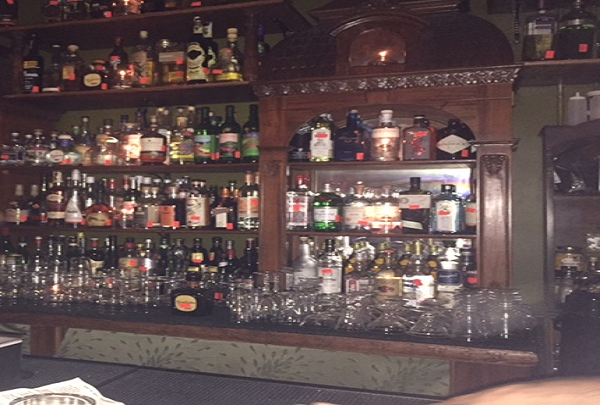 The Crow and the Quill offers over 300 different types of whiskey and over 600 types of spirits. Come in and try one of their unique cocktails and listen the the live band! 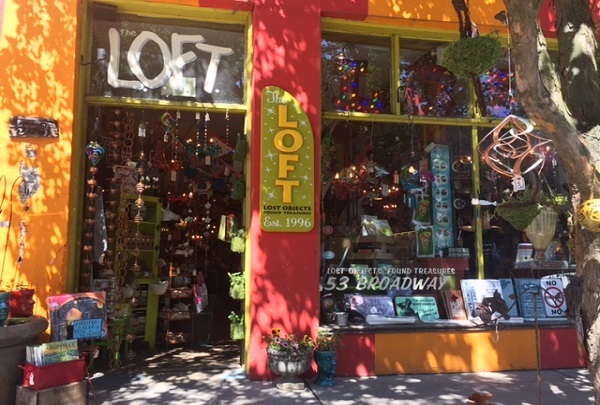 L.O.F.T offers something for everyone! Great take home gifts from Asheville! Pick up gifts for yourself or others at this stylish boutique. L.O.F.T. is housed in a two-story building and offers eclectic merchandise that is sure to delight. 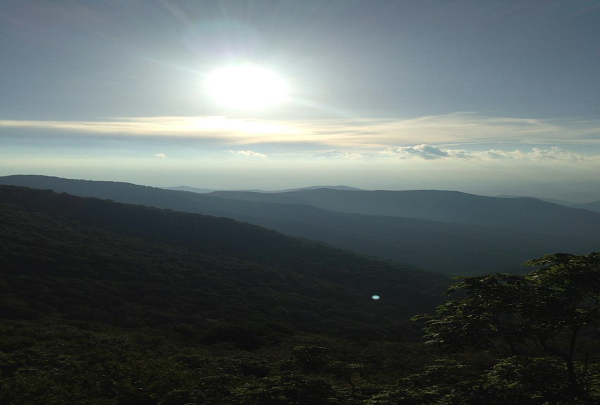 Take a hike or elevator ride to one of the most beautiful views you will see in Western North Carolina. Chimney Rock has something for every member of the family. 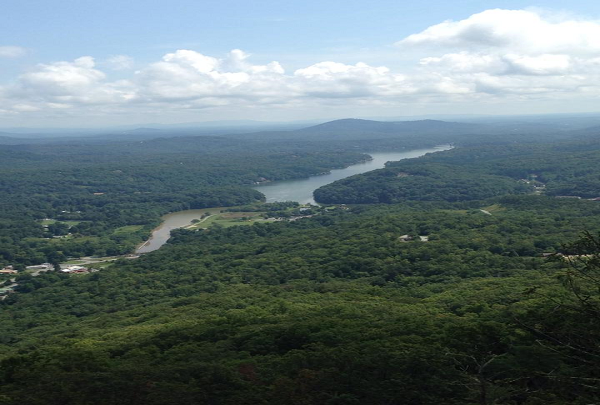 It is very kid friendly and offers entertainment with Woodland Adventure, the Animal Discovery Den, a rock climbing wall and, of course, the main attraction -- the views from the top of Chimney Rock. Stop by the next town over for a tasty lunch and views of the river. Bhramari's a great place to meet friends and enjoy cold local beer and food. Enjoy outdoor seating and corn hole. Bhramari is a local brewhouse that often changes it's beer on tap. 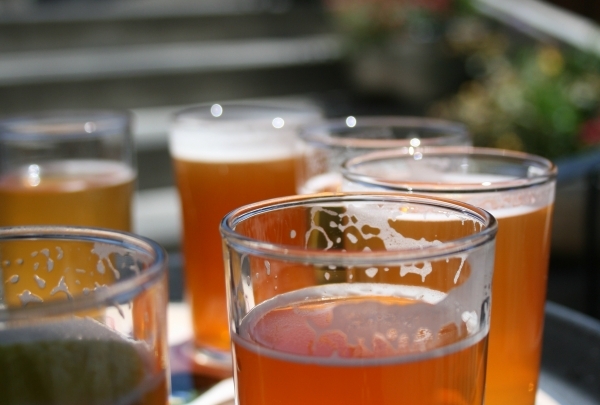 The brewhouse provides its own parking, has great indoor and outdoor seating, and great food. Bhramari is a spot that the locals flock to. 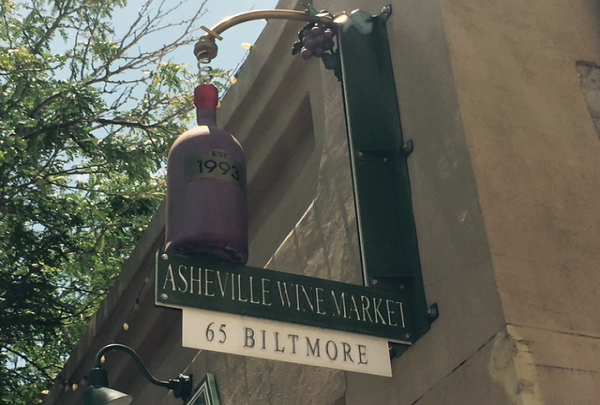 Asheville Wine Market is located right in downtown and has a bottle of wine for every occasion at the right price. Asheville Wine Market has a bottle of wine that fits every occasion and every budget. You may go in and taste up to 12 different bottles of wine at a time in store. They have the tasting station set up on a card, so to get started it is only $7.54. 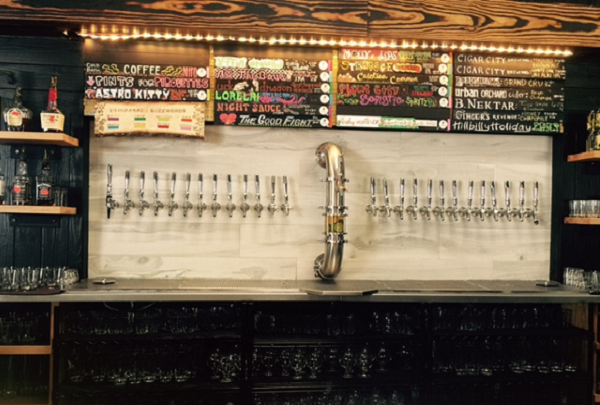 One of Asheville's most popular breweries offering a wide variety of craft beer. 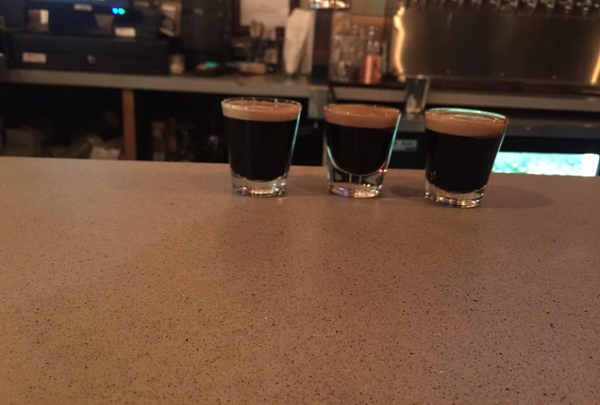 Located in downtown Asheville and offering local brew's as well as lunch and dinner. On property bottled beer's and ales can also be purchased. Also visit the Funkatorium their sister bar on Coxe Ave.
Fine mineral and fossil specimens, unique jewelry, & eclectic home decor. Love Fossils and minerals? Then this is the place for you. 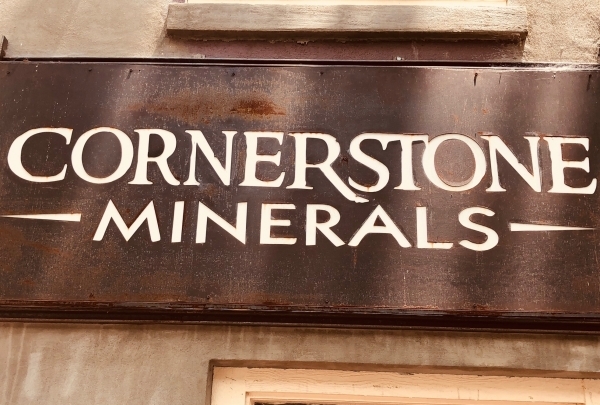 This amicable and relaxing shop has an eclectic range in fossils (such as mammoth tooth and bison jawbone), minerals like Watermelon Tourmaline and elegant jewelry. They also have some quirky options in their natural decor section.